Want to know how Web evolved from the past?? Watch this video which shows how evolved from the past decades.A simple video which shows the evolution of Web in mere 5 minutes. No iPods on the street of NY!!! 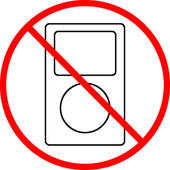 The city wherein people enjoy their walk on the street with their iPods/PDAs/PSPs/cell phones would not be allowed to listen to music while on the street.If they disobey the law they will be imposed a fine of $100 and with some court dates too. 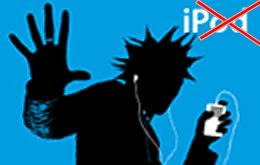 on banning the use of iPods/PDAs/video games/cell phones on the streets of NY. In order to protect the citizens law he also stated that he dosent want to intrude and break the citizens freedom but he obliges by saying that he cant leave the problem of people tune in their small electronic gadgets and zooming straight on to the speeding bus or a moving automobile to get one step closer to death. Kruger didnt reveal the actual number of deaths and such accidents but said people distracted because of their electronic gadgets have been briskly walking onto the path of death and people screaming "watch out". After the debut of Apple iPhone all other companies are brainstorming their designers and engineers to bring the best and the efficient iPone competitor.Microsoft gave the answer back with the Zune 2.0. 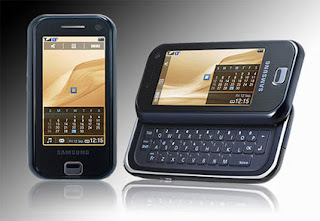 Wasting no time either,Samgsung unveiled its F700 handset.It has a 5 megapixel camera,almost beyond the comparision of iPhone's 2 megapixel.Similar to iPhone it has a touch screen interface.But an extra feature embedded with this phone is the sliding QWERTY keyboard. The F700 come with some great pre-installed software,like the HTML browser, the VibeTonz technology which helps the touch screen feel more friendly. It will launched in Barcelona ,Spain. AMD (Advanced Micro Devices) with collaboration with ASUS has launched motherboards with AMD chipsets.Till now only two such motherboards have been launched AMD 580X Cross-Fire chipset and AMD 480X cross-fire chipset. 1.The worlds first single chip 2x16 PCI-E chipset . 2.Enhanced support for over-clocking, and PCI Express performance. 3.Supports all AMD processors: Athlon64, Athlon64 FX, Athlon64 X2 Dual-Core, and Sempron processors. 5.2 x16 PCI Express lanes to support simultaneous operation of graphics cards. 6.Driver support for all ATI Radeon PCI Express graphic products. 7.Support for Microsoft Windows XP, Windows2000, and Linux and some other operating systems.